“The ice edge is lost” – but can it be mapped? Amidst a steady stream of news stories announcing record-setting lows in sea ice extent, our recent publication in Transactions of the Institute of British Geographers asks a question that is fundamental to efforts to understand and manage our changing planet: What is sea ice? 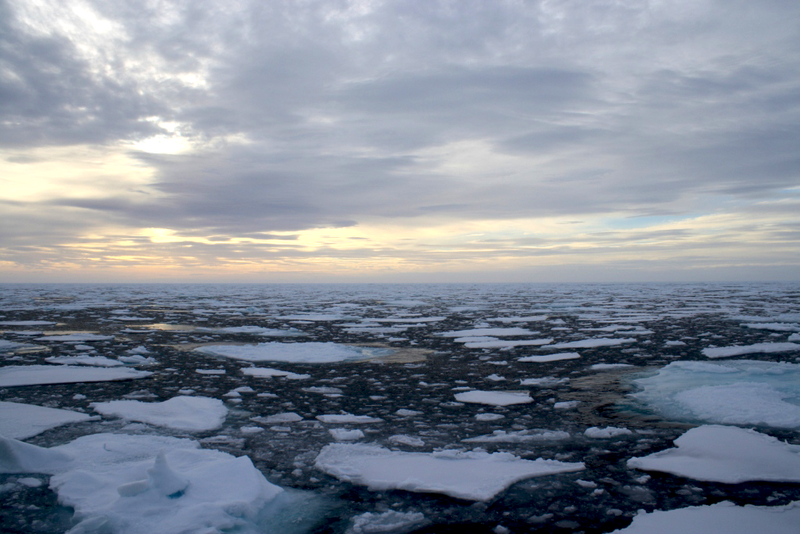 Sea ice is never simply frozen sea water. It exists amidst dynamic processes of freezing, melting, and brine rejection; it supports complex ecosystems of primary algal production; its edge (where sea ice extent meets open water) is never clearly defined; and because that edge is perpetually moving it can never easily be mapped. Yet in spite of, or perhaps because of, sea ice’s indeterminacy its appearances and disappearances are regularly enrolled to support one political project or another – oil drilling, sovereignty claims, environmental protection, etc. The political utility of sea ice was driven home to us by the publication of two maps within months of each other in 2015: a Norwegian map that moved the sea ice edge 70 kilometers northward and a Canadian map that moved it 200 kilometers southward. In “’The ice edge is lost….nature moved it’: mapping ice as state practice in the Canadian and Norwegian North,” we research the genealogies of these maps to explore the pitfalls that emerge when sea ice is mobilized as a planning object. Is the ice edge lost? The title of our article is derived from two statements made about the Barents Sea ice edge. The first is from Nikolai Knipowitsch, a pioneer in sea ice research, who sent a telegram to his colleagues in 1930, proclaiming: “The ice edge is lost. Those who find it, please deliver it to the address: Longitude 81”. Knipowitsch was celebrating that he had correctly predicted that, due to higher temperatures and changes in the Gulf Stream, there would be an almost total absence of sea ice that summer in the Barents Sea. The title’s second quotation comes from a statement made 85 years later by Norway’s Prime Minister, Erna Solberg. Defending a map that, moved the ice edge northward and thereby lent support to efforts to open new areas of the Barents Sea to oil exploration, Solberg stated, “We are not moving the ice edge. It is actually nature that is currently moving the ice edge”. Both statements can be contested. Knipowitsch knew very well that the ice edge was not mysteriously ‘lost’; indeed his research was devoted to uncovering the processes behind variation in its retreat and appearance. Solberg fails to share Knipowitsch’s sense of irony, but her statement can nonetheless be subjected to critique that resonates with the large body of geographic research that questions simplistic understandings of a unidirectional relationship where ‘nature’ influences ‘culture’. In this case, for instance, one could note that the ‘nature’ that Solberg blames for ‘moving’ the Barents ice edge is itself a product of carbon emissions from oil and gas extraction similar to that which would be facilitated by the map’s redrawing of sea ice extent. But perhaps most profoundly, both quotations refer to the ice edge as an object that can be measured, mapped, and enrolled in economic development, state building, and a host of other projects. Our article suggests that whether the ice edge is said to be lost (as it was by Knipowitsch) or found (as it was by Solberg), the significance in both of these quotations – and in the Canadian and Norwegian maps that followed – is that the ice is said to exist as an object. In “’The ice edge is lost…nature moved it’” we urge that the retreat of sea ice should be incorporated into political discourse and conversation, not by drawing and reading lines on a map but by interpreting sea ice within a confluence of probabilities and processes: probabilities because sea ice cover is both spatially and temporally uneven and dynamic, and processes because the value of sea ice is less as an object with single purposes (e.g. to hinder ships, to support marine mammals and their hunters) than as an essential element of polar ecosystems and global circulations. Drawing a line on a map and calling it an ice edge smooths over insecurities, scientific knowledge gaps, and ecological risks involved in conducting economic activities above or below that line. It follows that sea ice management needs to be directed less toward protecting the places where sea ice was most recently located and more toward management of a zone where, amidst probabilities of its occurrence, environmental and social processes are preserved. This presents a challenge for lawyers, legislators, and activists, as well as cartographers. New forms of mapping and legislating are required for a politics of probability and processes. 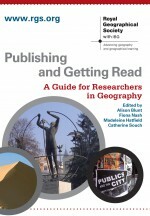 We hope that geographers are up to this task. About the authors: Philip Steinberg is Professor of Political Geography and Director of IBRU: the Centre for Borders Research at Durham University. Berit Kristoffersen is Associate Professor, Department of Social Sciences, UiT – The Arctic University of Norway. This entry was posted in Transactions of the Institute of British Geographers and tagged Canada, critical cartography, ice edge, Norway, Political Geography, Sea Ice on May 2, 2017 by RGS-IBG Managing Editor: Academic Publications.